Do you want your baby to be more intelligent? Play them music! Music can help to our child development from mummy’s belly till the adulthood. When pregnant, futures moms are adviced to listen to classic music, this is recommended because is said it can help our baby’s development and then when he/she grows, music can be a way of her feelings to be externalized. On the other side, learning to play an instrument could be a great way to understand better the world. For an unborn infant, it can help prepare him/her ear and brain to listen, as well as integrate and produce language sounds. On-going research of the effects of prenatal music stimulation has been in progress for decades; however, the benefits of prenatal music are not just for your unborn baby. In fact, recent scientific research has shown that there are a number of benefits for both mom and baby associated with playing music during pregnancy. Music helps create a wonderful bonding experience for mom and baby, reduce stress levels during pregnancy, enhance the stimulation of your unborn baby’s growing brain, and improve sleeping patterns for a newborn baby. There’s nothing like the sight of a peacefully sleeping baby. Many new parents will tell you, it’s a sight they don’t see often! A newborn should be sleeping 16 to 17 hours a day for optimum health, and sleeping through the night by three months, or until they weigh 12 to 13 pounds. A baby’s sleep patterns are important because studies have shown adverse effects later in life when babies don’t get enough sleep. Babies remember music they hear in the womb. Familiar music captures a baby’s attention and comforts and relaxes them. Exciting new studies found that children recognize and prefer music they were exposed to in the womb, for at least a year after birth. Dr Alexandra Lamont from the Music Research Group at the University of Leicester was quoted in a segment of the BBC’s “Child Of Our Time Today,” saying, “We know that the fetus in the womb is able to hear fully only 20 weeks after conception. Now we have discovered that babies can remember and prefer music that they heard before they were born over 12 months later.” Babies who hear the same music that was played while in the womb fall asleep faster and sleep longer than babies who did not hear music. Playing the same music after birth can help establish a better sleeping pattern for baby, which in turn lets parents get more sleep. Music therapy is increasingly used in hospitals to reduce the need for medication during childbirth, to decrease postoperative pain and complement the use of anesthesia during surgery30. The power of music to affect memory is quite intriguing. Mozart’s music and baroque music, with a 60 beats per minute beat pattern, activates the left and right brain. The simultaneous left and right brain action maximizes learning and retention of information. The information being studied activates the left-brain while the music activates the right brain. 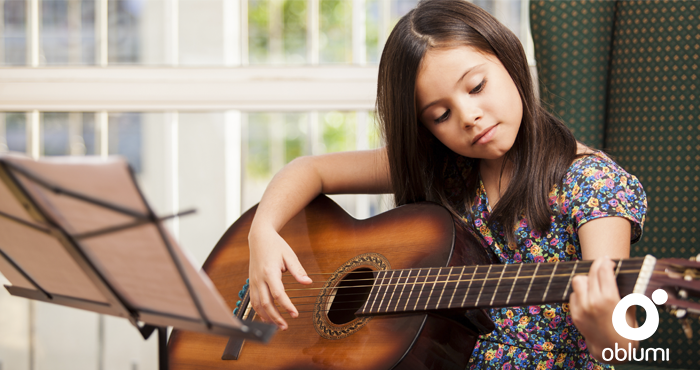 Also, activities, which engage both sides of the brain at the same time, such as playing an instrument or singing, cause the brain to be more capable of processing information. Choosing music that motivates you will make it easier to start moving, walking, dancing, or any other type of exercise that you enjoy. Music can make exercise feel more like recreation and less like work. Furthermore, music enhances athletic performance6-8! Anyone who has ever gone on a long run with their iPod or taken a particularly energetic spinning class knows that music can make the time pass more quickly. Fast forwarding to the moment of your life when you start working, music can play an important role here as well. In fact, it is known that a bit of music improves your productivity. Also, it isolates you and is more difficult to get distracted. Sometimes is a bit hard to keep concentrated when everyone in the office is questioning something from you. Well, by listening to music it will be easier to concentrate all your energy to the task and to just do what you need to do at the moment. According to a report in the journal Neuroscience of Behavior and Physiology, a person’s ability to recognize visual images, including letters and numbers, is faster when either rock or classical music is playing in the background. But, here in #TheNowFamily, we just love music, any kind of it. With no exceptions at all.